New York, December 4, 2017 – GroupM, the media investment group of WPP, today updated its ad investment forecasts for 2017 and 2018. Globally, GroupM anticipates growth of 3.1% this year and 4.3% in 2018, an increase of $23B next year. The figures were discussed at the 45th Annual UBS Global Media and Communications Conference in New York. GroupM points to global GDP growth with rising consumer demand, fixed investment, industrial production and exports as contributors to its more positive outlook for 2018. However, identified risks are weak investment and productivity, as well as the spectre of excessive debt, which may deter policymakers from raising interest rates. “Growth is wide with more people working, but shallow with wages growing slowly. If the global economy sustains its rising demand for labor, it may reveal a widening skills gap. Then, competition should raise wages, spurring investment in productivity and helping inflation to finally surpass central bank targets,” said Adam Smith, Futures Director. Six countries are expected to drive 68% of incremental investment next year: U.S., China, Argentina, Japan, India, and the U.K. In the U.S., unemployment is 4.4% and falling; real wages are growing 2.5% and rising; and consumer confidence is at a 17-year high, though consumer spending growth remains sober at 2.7% in 2017 and 2.3% predicted for 2018. China’s economy is rebalancing as demand for consumer goods has exceeded export growth since 2011 and fixed investment since 2015; and the percentage of retail sales in GDP continues to rise steadily into the higher 40s. China’s improvement ties to supply-side reform and a strong real estate market in lower tier cities. However, marketers seeking growth will be concerned over a decline in the propensity of the Chinese to try new products. Argentina’s growth is the dividend of political dynamics and the appreciating peso. In Japan, the world’s third-largest economy, Abenomics, the policies advocated by Prime Minister Shinzō Abe, have stimulated the strongest increase in consumer demand (3.4%) in three years. India is looking past recent reform disruptions (demonetization and sales tax). Continuing urbanization and rising wages are supporting strong consumer growth in finance, durables, services and retail. E-commerce is becoming a key channel for FMCG, and ad investment is anticipated to shift significantly from other media to shopper/performance marketing. Amazon is now India’s second-biggest advertiser as it contests the e-commerce market with domestic rival, Flipkart. Globally, television investment will grow 0.4% in 2017 and 2.2% in 2018, but TV will lose one share point this year and another next. China’s regulated TV is a headwind; extracting China reveals TV growing 3% this year and 4% next, with share stable (41%). Importantly, this means advertising investment for “TV” content on traditional TV devices. We know that time spent with TV content remains healthy, but monetizing those hours gets harder as audiences diffuse across platforms more quickly than the industry can create measurement solutions. This and other challenges are discussed in GroupM’s new State of Video report. Digital investment growth is expected at 11.5% in 2017 and 11.3% next year; its share will increase from 34.1% this year to 36.4% in 2018. Excluding China, digital’s growth is moderated a bit: 10.6% (2017) and 10.5% (2018). GroupM believes digital investment will exceed traditional TV in seventeen markets by year’s end: Australia, Canada, Denmark, China, Finland, France, Hong Kong, Ireland, Hungary, Germany, The Netherlands, New Zealand, Norway, Sweden, Switzerland, Taiwan, and the U.K. On analysis of real investment dollar trends, GroupM disagrees that digital has already surpassed TV in the U.S. (per other industry sources); these lines are expected to cross in 2020. At close of the third quarter, Google reported ad revenues of $24B and Facebook reported $10B. With GroupM’s study of total worldwide digital investment and prior disclosures from these companies, GroupM believes these two companies will account for 84% of all digital investment in 2017 (ex-China). GroupM also believes the two will account for 186% of digital growth in 2017. This is exceedingly bad news for the balance of the digital publisher ecosystem. Amazon is on a fast-track to figure more prominently in the consolidation of digital ad investment with a few dominant players. Conservatively, GroupM believes the sum of Amazon’s on-platform search and display advertising combined with their off-platform advertising revenues is in the low single-digit billions. As digital continues growing, programmatic buying is expected to grow with it. However, in GroupM’s analysis of the U.S., specifically, programmatic budgets are estimated at 20% of digital spending (excluding social platforms) and have not increased as quickly as expected. GroupM believes concerns over supply chain integrity and brand safety are to blame. While GroupM insists on viewability and brand safety measurement by 3rd parties, some programmatic partners do not support ad call prevention to protect against violent, sexually suggestive, or politically extreme content including fake news. GroupM reports that many clients have moved to whitelist-only approaches to increase safety but this does limit reach and increase prices. Advertisers are rightfully concerned over the murkiness of the programmatic supply. GroupM supports marketplace adoption of “Ads.txt,” a method publishers and exchanges can use to publicly declare the companies that are authorized to sell inventory from specific publishers; this will give advertisers and agencies the ability to buy direct and eliminate interloping middlemen and their associated fees. As consumer attention continues fragmenting across platforms, many see virtue in one of the oldest advertising media, Out-of-Home, which is also becoming more data-informed, digital and versatile. The combination of location data with purchase, social media and viewing behavior presents an increasingly compelling proposition. It is growing share, from 6.1% in 2016 to 6.2% in 2017 and 6.3% in 2018 – the highest it has been since 1993. Apart from digital, it is the only medium growing share. Radio is almost holding onto its share (4.4% this year, 4.3% next) as it is less disrupted and innovates with content and social media. GroupM is the leading global media investment management company for WPP’s media agencies including Mindshare, MediaCom, Wavemaker, Essence and m/Six, and the outcomes-driven programmatic audience company, Xaxis. Responsible for more than US $108B in annual media investment by some of the world’s largest advertisers, GroupM agencies deliver an advantage to clients with unrivaled insights into media marketplaces and consumer audiences. GroupM enables its agencies and clients with trading expertise, data, technology, and an array of specialty services including addressable TV, content, and sports. 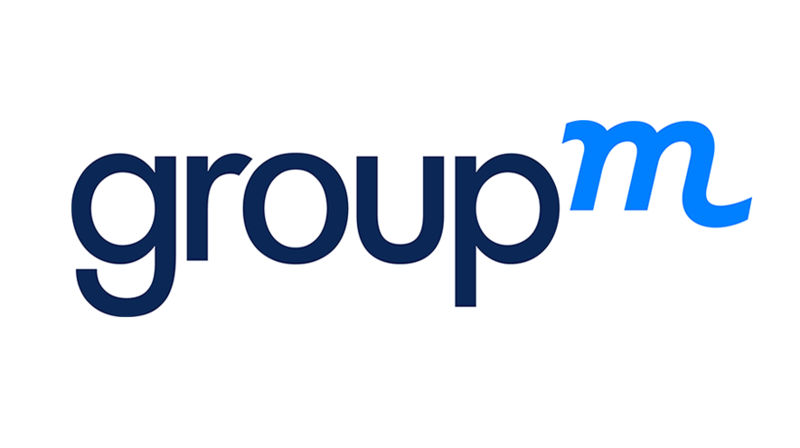 GroupM works closely with WPP’s data investment management group, Kantar, and together they account for almost 50% of WPP’s group revenues of more than US $19B. GroupM delivers unrivaled marketplace advantage to its clients, stakeholders and people.